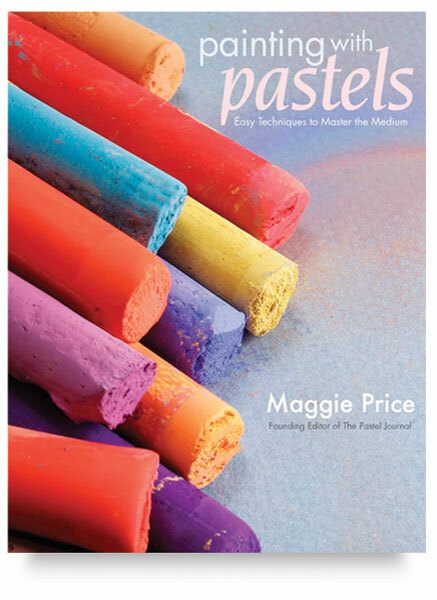 Enjoy the art of pastel painting with Maggie Price, the founding editor of The Pastel Journal . This step-by-step guide offers readers everything they need to know to paint with pastels, beginning with how to select the right materials, to the fundamentals of composition, and working with photographs. The book includes 22 demonstrations detailing specific painting techniques and effects, including creating depth and movement with color, blending colors to create skies and reflections, underpainting to achieve brilliant light and deep shadows, and mixing pastels with watercolor and gouache to create fluid effects. Price also offers helpful sidebars that help readers save time, avoid mistakes, and work more efficiently. The book also includes inspiring works of other pastel artists who share their tricks of the trade and demonstrate how to paint still lifes, portraits of children and animals, and landscapes.